For the last 25 years, Transparency International, an international body comprising of eminent persons from various countries, releases yearly reports on the corruption of about 180 sovereign nations. The findings or reports, termed, the ‘Corruption Perception Index’(CPI) ranks these countries and territories based on their perceived levels of primarily public sector corruption. In its methodology of assessment, the index uses a scale of 0 to 100, where 0 is most corrupt while 100 is least corrupt. The information for the index is provided by ‘experts and business people’. For 2017, being the most current period, the index found that more than two-thirds of countries scored below 50, with an average score of 43, meaning that more than half of the countries surveyed did not make the halfway line. Consistent with past trends, the worst performing regions is Sub-Saharan Africa with an average score of 32, and Nigeria scoring 27. That places Nigeria at the rank of 148 which is a drop of 12 places below where it was last year! Before we fret or celebrate over our new ascendancy, it is essential to highlight the methodology used to rank countries. Transparency International uses thirteen different data sources from twelve different institutions to construct the CPI : They are African Development Bank Country Policy and Institutional Assessment 2016; Bertelsmann Stiftung Sustainable Governance Indicators 2017; Bertelsmann Stiftung Transformation Index 2017-2018; Economist Intelligence Unit Country Risk Service 2017; Freedom House Nations in Transit 2017; Global Insight Country Risk Ratings 2016 ; IMD World Competitiveness Center World Competitiveness Yearbook Executive Opinion Survey 2017 ; Political and Economic Risk Consultancy Asian Intelligence 2017 ; The PRS Group International Country Risk Guide 2017 ; World Bank Country Policy and Institutional Assessment 2017 ; World Economic Forum Executive Opinion Survey 2017 ; World Justice Project Rule of Law Index Expert Survey 2017-2018 and Varieties of Democracy 2017. The main issue to address is not the complex statistical methodology it deploys, which it reassesses every two years, but the primary source of information it uses to arrive at its conclusion. For data sourcing, it uses ‘businessmen and credible institutions’ as a source of information gathering. It is pertinent to indicate which type of business constitutes the sample size. Is it foreigners or locals ?? The ‘quality’ of the respondent matters in every research. There will be a difference in the results of a survey if the persons that probably come for business with ‘hot’ money are prioritized over those that live in Nigeria and engage daily in different sectors of the economy. It further states that it collects parallel independent data from in-house researchers and two academic advisors, who are mainly expatriates. Though Transparency International reports that it has no affiliation with the independent data sources, probably for ethical reasons, it is not clear on the technical methodology concerning where the independent sources obtain their data. Nowhere in the technical methodology is it stated that data is sourced from relevant institutions within a country that is being assessed. By its admittance, most of the sources do not have global coverage. For a country or territory to qualified for assessment and ranking, there must be at least three CPI’s data sources from the earlier ones stated. So it is safe to assume that the African Development Bank, which is based in Africa and should know Africa was the primary data collection point for Nigeria. Therefore, the African Development Bank and at least two other institutions will collect data on matters regarding public sector corruption in Nigeria. It shall also assess the ability of governments to contain corruption and enforce effective integrity mechanisms in the public sector. They will also study the adequacy of the legal framework on financial disclosure and conflict of interest prevention.Also included is to ascertain whether there is legal protection for whistleblowers, journalists and investigators when they are reporting cases of bribery and corruption. Other areas include the confirmation of an effective criminal prosecution for corrupt officials who divert public funds without excessive bureaucratic burden which may increase opportunities for corruption. Quite important is that they are to look at the prevalence of officials using public office for private gain without facing the consequences due to nepotistic appointments in the civil service or by narrow vested interests. The global standard for assessing complex criminal justice matters such as money laundering, corruption or terrorism, researchers or assessors mainly look at the legal framework and see if its sufficient to combat such crimes. Next is the whether the institutions are capable of and having the technical capacity, funds, staff and other matters to implement the legal framework. Finally, is the measurement or impact of the first two, which is usually the area where most countries have challenges. In the areas enumerated above, are the Nigerians laws robust enough and in compliance with international standards such as the United Nations Convention against Corruption? Are there institutions strengthened sufficiently to execute their tasks effectively? Are there data available held by these agencies that would be contrary to data obtained from foreign experts? Transparency International is very clear in its technical methodology that it does not capture citizens perceptions or experience of corruption! So where does the information or data generated from to support the ‘perception’ to reflect the reality of acts of public sector corruption in Nigeria? It also attributes the lack of journalistic freedom and engagement of civil society to highly corrupt countries. The information is sourced from data from the “Committee to Protect Journalists” which indicates that, every week, a journalist is killed in a country that is highly corrupt.It will be difficult to support that assertion in Nigeria because the state has sufficient press freedom with no recorded casualty because of reportage on corrupt activities. Countries were journalists are killed, is usually not as a result of speaking out against corruption but other factors such as war or political assassinations. Also, there is not a single reported case of government highhandedness to any civil society organization that has spoken about corruption. All anti-corruption agencies actively engage with CSOs as partners in the war against public sector corruption. Furthermore, the ‘World Justice Project’ indicates that most countries that score low for civil liberties also tend to score high for corruption. Is there any evidence that Nigeria or any country in the sub-region is rated low on civil liberties or does not allow for civic participation? Most of the countries that scored high are old democracies with stronger institutions and based on that, will always have an edge and higher score over weaker democratic institutions.It is a constant that developed countries will typically rank higher than developing nations due to stronger regulations. Another problem with the ranking is that it is measured by a different methodology every two years and would pose a challenge to making yearly comparisons. This significant subjectivity downgrades it as a tool for measuring the implications of new policies. Part of its counter-productivity is that the ranking influences the actual perception of corruption because of the media attention they tend to receive. This raises the potential that the indexes influence the very same opinions on which they are based. This circularity reinforces perceptions of corruption, creating a vicious cycle between perception and fact. Evidently, perceptions of corruption can be shaped by media and entrenched historical stereotypes.Therefore, the perception of corruption does not always reflect the reality or complexity of the actual level or experience of corruption. There is growing concern among anti-corruption agencies and the international community that perception-based indexes are not accurate measures. It is obvious that perception and experience of corruption are not the same things. Studies have shown that there is a wide gap between opinions and experiences from country to country. For example, in 2006, the perception based CPI rated the United Kingdom as the 11th and Turkey as 60th in the index. However, using the Global Corruption Barometer, another form of measurement that is more of experience-based, reported that 98 percent of the respondents, who are residents stated that they had not paid any bribe in the past 12 months. The incompatibility of corruption perception with the experience of corruption points to the shortcomings of the perception methodology used. The complexity of understanding how to interpret these indexes places the responsibility on anti-corruption agencies to explain index ratings to the media. That is probably why the Minister of Information was fidgeting on live television when trying to explain the CPI to the press because it didn’t make sense to him. 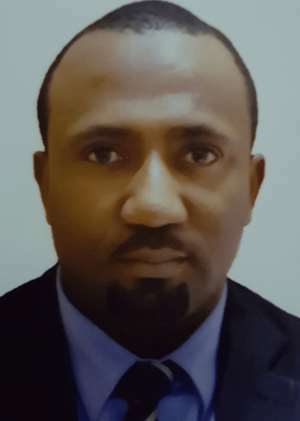 One can only imagine what would be going through the Chairman of EFCCs mind that after going to Vienna in November 2017 brandish a recovery of N739 billion, tons of asset recoveries ,prosecution of hundreds of high profile cases and over ten countries drooling to copy the Nigerian model, only to descend by 12 positions. Ridiculous I say!